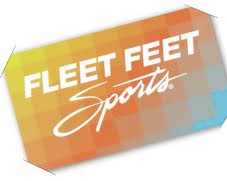 Fleet Feet Orlando has gift cards available for any denomination. You may purchase your gift card in store for use at our Altamonte Springs location in addition to any Fleet Feet Store across the country. We make it easy for you! So send the gift of FIT to your friends, family or loved one today. Busy Schedule? You may also purchase an e-gift card on-line and email it directly to that special someone!